There’s no wrong time of the year to get married; each season offers a unique and beautiful appeal. Although, we think winter is particularly stunning with its rich and stark colors, snowy backdrops, and romantic ambiance. If you’re tying the knot this winter, here are some amazing wedding favor ideas you can make or buy to say thank you to guests. Who doesn’t love warming up to a hot cup of cocoa after a cold day? Your wedding will already give everyone a warm and fuzzy feeling, so top it all off with a hot cocoa bomb. Whether your guests travel from near or far, this is something that can go on planes, trains, and automobiles. When you make your own labels, think of something that’s personal to you. Instead of “warm and cozy” try “Our love warms the heart” or “Hot for each other.” Just go with a fun pun or play-on-words and your guests will eat it up—literally and figuratively. 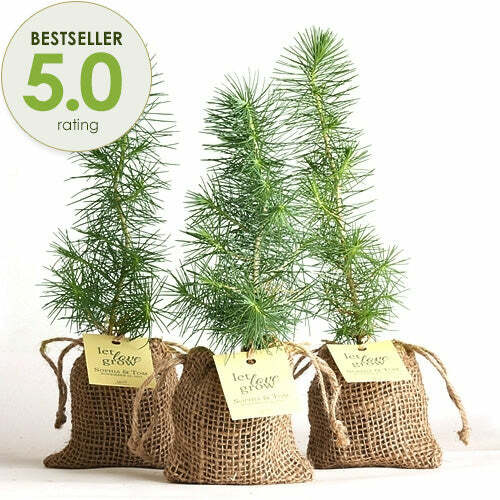 Giving wedding guests something that can live on as a symbol of your love—and that’s also great for the environment! 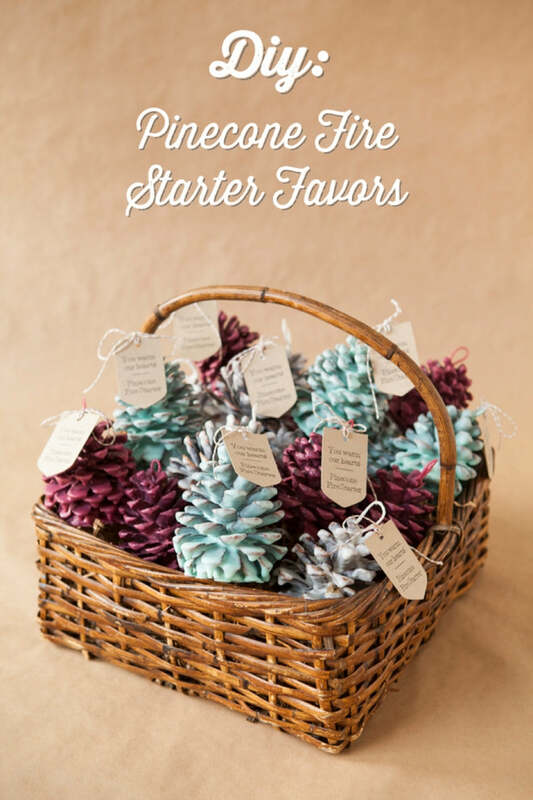 We love these plant-you-own-pine-tree wedding favors because they’re all of the above and thematic with winter. If you’re more of a DIY bride or groom, you can easily make these plantings yourself. Just go to your local garden center for seedlings and make sure you pack them in moist soil. If you’re doing this ahead of time, don’t forget to water! You wouldn’t want to give out a bunch of dried up twigs on your wedding day, would you? See what we did there? You can swipe that idea if you want or label these hand warmers with another heartwarming message. 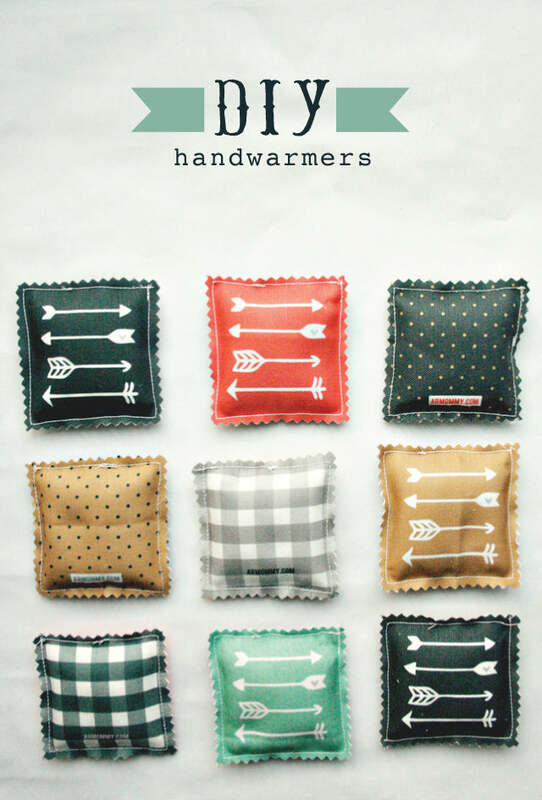 You will need to know how to sew to make these hand warmers, but they’re about as easy as a craft can be. Choose colors and patterns that echo your wedding’s color scheme and theme and put them in a box for guests to get when they walk in, or on each place setting. To make these even more lovable, add dried herbs or flowers like lavender to the inserts. Having a wedding in winter can be chilly. 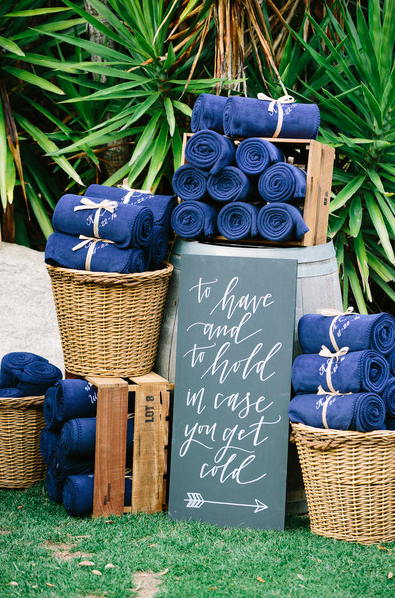 Keep guests from catching a cold—and come up with cute party favors—by using this delightful blanket idea! If you don’t want to splurge on full size throw blankets for your entire guest list, try scarves or hats. When making wedding favors, it’s tempting to use your monogram or names. However, who wants a blanket on their couch that says someone else’s name on it? We have a solution to this problem: you can personalize your blankets with a custom label. That way, you can add your stamp to your gift without making it super obvious. We love how this wedding favor isn’t just a gift, but part of the décor. 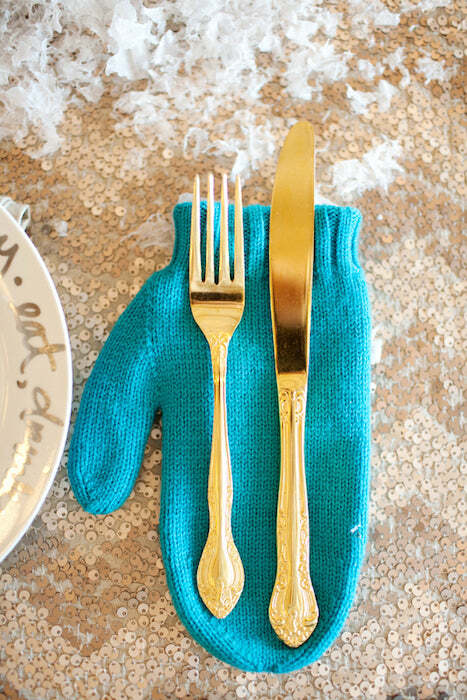 You can go to the dollar store, or buy mittens in your wedding’s color scheme online. Then, set them out at each place setting like this smart bride and groom did. Depending on your wedding’s theme and level of fancy-shmancyness, you can go for an entirely different look. For instance, choose more of a hand-knitted glove or mitten for a hipster affair, or vintage, mismatching pairs for a more eclectic and relaxed wedding. Let everyone know how your flame is burning for one another with these DIY pinecone fire starters. Not only are they winter appropriate, but they’re functional and cute too. We like how this crafter used a basket to present these fire starters, but you could just as easily put one at every guest’s place setting and make them part of the decorations. Definitely make sure to follow suit and attach a custom label that says “You warm our hearts” or “The fire is alive.” Whenever you’re using items from the outdoors, just make sure to bake them in a 200 degree oven before crafting. Otherwise, you might have some creepy crawly friends crash your wedding! 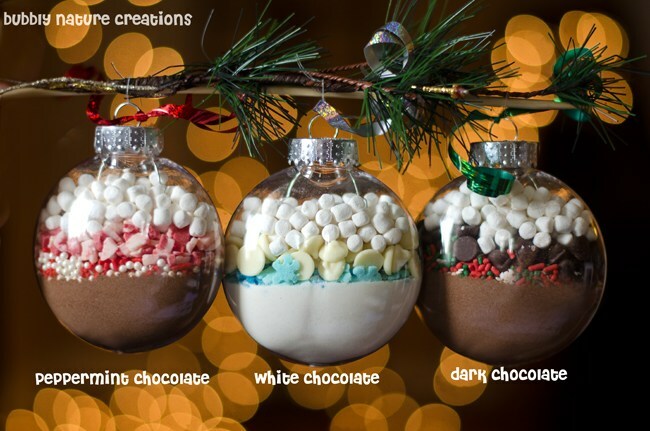 If your wedding is in December, play up the Christmas theme with these edible ornaments. You can order glass orb ornaments online or go to the local dollar store to find plastic balls. The only thing you need to do is make sure these ornaments are clear so your ingredients show up! And, don’t let them jostle on the way to the reception, or your pretty layering will be for naught. The ornaments are cute and purposeful on their own, but if you want to make them even better, display these ornaments on hanging wire or a faux Christmas tree. Place them next to the door so every guest knows they should take one on their way out. 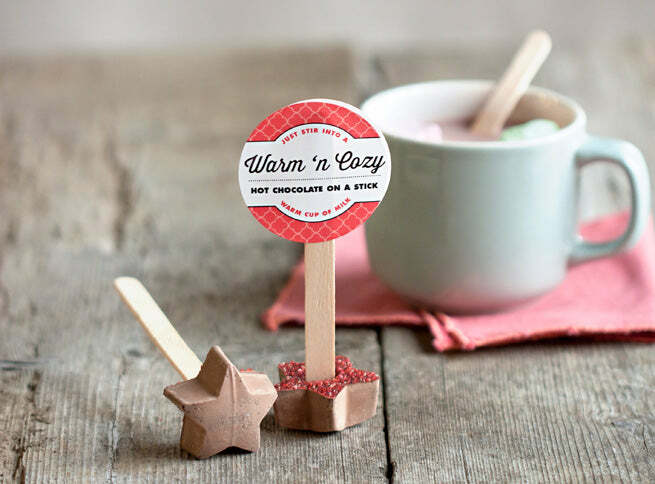 The hot chocolate stars we featured above are perfect for wedding guests of any age, but you can make your favors even better for those who are 21 or older. 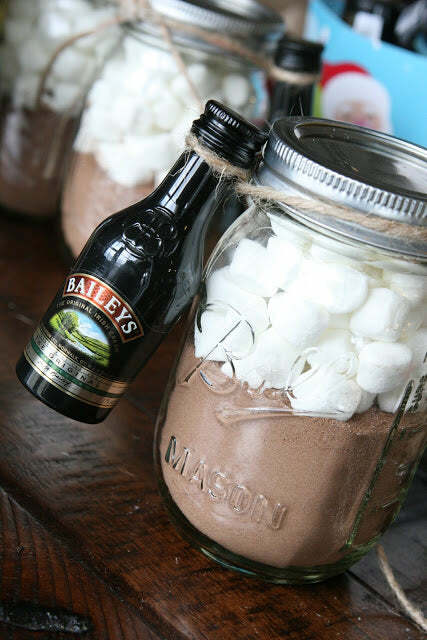 These baileys and cocoa wedding favors are another fantastic idea that look cute and won’t be left over at the end of the night. Plus, the ingredients are cheap and can be assembled way in advance, so you won’t be scrambling at the last minute. If you like this idea, but don’t want to serve alcohol, consider attaching a candy cane to replace the airplane bottle. Or, you can shop for candy sticks in a variety of colors and flavors that will add deliciousness to your hot chocolate mix. With all the kissing that’ll be going on at your wedding, you’ll want super soft lips. Help your guests keep their own lips soft all night and through a harsh winter by giving out homemade lip balm! 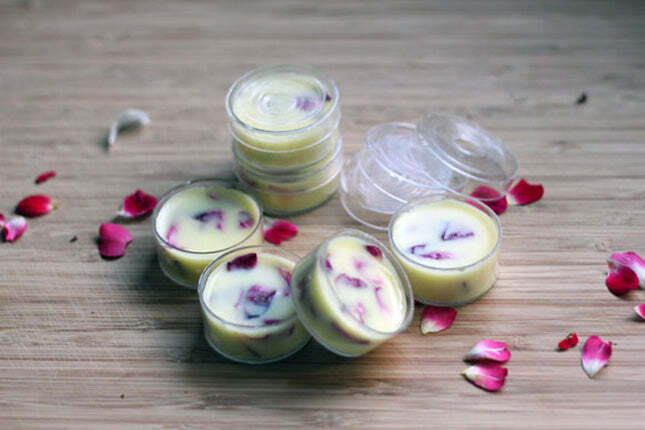 The flower petals in this DIY lip balm are beautiful and romantic, but you can always substitute them for your favorite flower (just make sure it’s edible!). A sugar scrub would be a nice complement to this lip balm too if you want to give away something that’s more substantial. Just because it’s a wedding, doesn’t mean you have to go over-the-top with love themed goodies. These ornaments are a great idea and offer a homemade feel your guests will love. You’ll need a wood burner to make these at home, but you can find one at a local craft store. You can also mimic this style but draw hearts or arrows if you do want to incorporate some lovey dovey theme at your wedding. And since there are two sides, you can draw a heart or snowflake on one, and your initials on the other. For all the winter brides and grooms out there, congratulations! We hope you have a wonderful winter wonderland of a wedding and find the perfect favors for all of your guests. Looking for a candy buffet for your wedding? Shop for candy from CandyStore.com at affordable bulk prices.